Benefit's Gimme Brow is an easy to apply, brush-on fibre gel that gives eyebrows volume and definition to create beautiful, fuller brows with the perfect arch. It is long-wearing, water resistant, buildable and natural looking. The tapered brush allows you to apply the product in precise lines with little effort. It also helps to blend the gel onto the hair and skin to provide you with eyebrows that don't look over-the-top made-up! 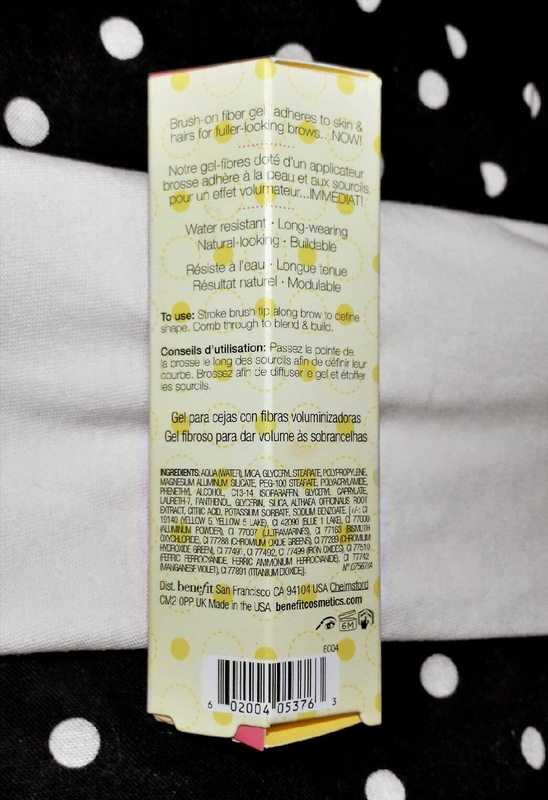 It comes packaged in a small tube that holds 3.0g of product and looks like a miniature mascara. It comes in two shades: light/medium and medium/deep. I have dark eyebrows so therefore I purchased medium/deep. 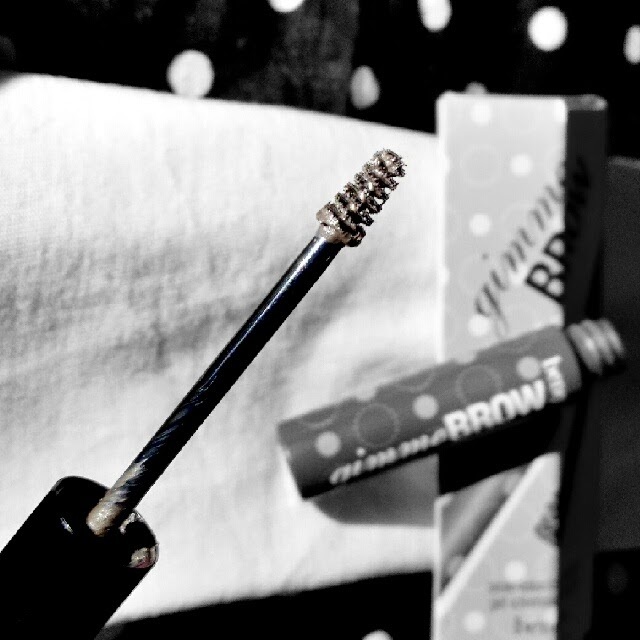 Application of Gimme Brow is easy; use short pressing motions with the brush tip to create the shape of your arch, then comb the gel through the brows to add volume and blend. 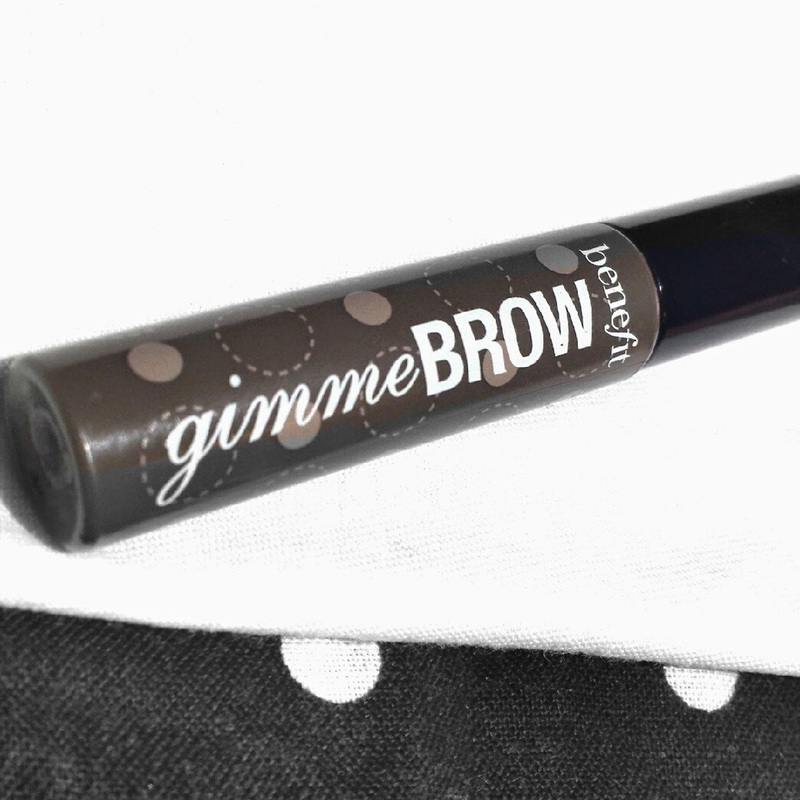 Overall, this brow gel is super quick to use. There is no messing around and if you happen to make any mistakes, you can quickly and easily wipe the gel away with your finger and carry on. I find it so much easier than a pencil in that respect because sometimes trying to correct a mistake that way when using a pencil can smudge the product further, creating more mess to tidy. From a mothers perspective, it is also easy to use when you have children around you, all eager to get out of the door! You can apply it without fuss and without having to try to keep steady to create your perfect lines like when using a pencil because this gel seems to do the hard work for you. It's also the perfect size to keep in your handbag to apply it whilst on road! My favourite thing about this gel is that your eyebrows stay looking natural. 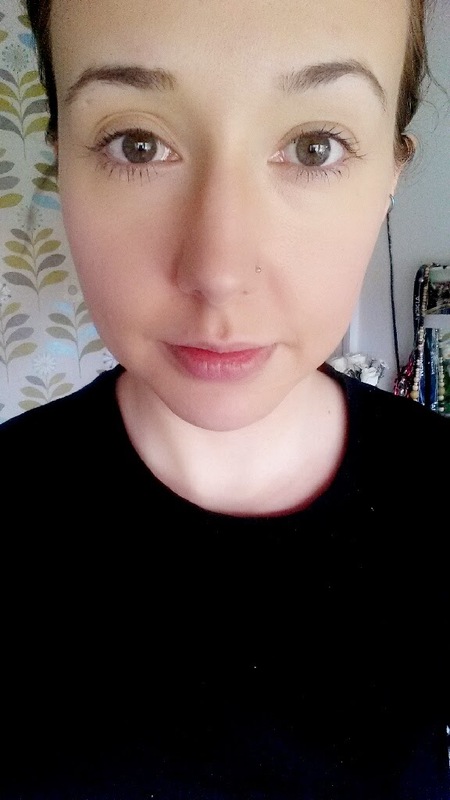 I have used brow products in the past where even though I have only used a small amount, my eyebrows have looked like I have sat and sharpied them on or something! Here are my before and after photos - before on the left and wearing Gimme Brow on the right. 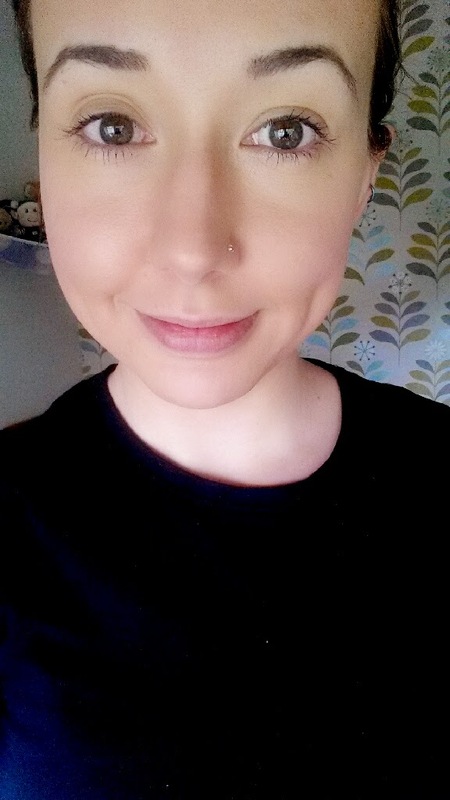 My left eyebrow has a patch that is thinner, right in the corner of it, towards my nose. From a distance it can make my eyebrows look uneven, even when they are the same. My eyebrows are so dark so it can be incredibly noticeable at times. Therefore, I like to apply something to make my eyebrows look fuller, but not like I have just spent an hour colouring them in with marker pens. I think that this gel is fantastic for issues just like that! It can provide you with natural looking eyebrows that really help to bring out the features of your face rather than make you look like a clown. Along with the fact that it's super fast and easy to use, it is honestly difficult to fault. Also, because this gel is buildable, it doesn't matter if you just want a little volume or a lot; you can use this to create the look that you want! At the end of the day, this gel can be removed easily with your normal makeup remover. I haven't had any issues with removal as of yet. I use Taaj - Himalaya Micellar Water. It's such a simple but fantastic product! Yet again, what else would you expect from the masters of the brow arch!? 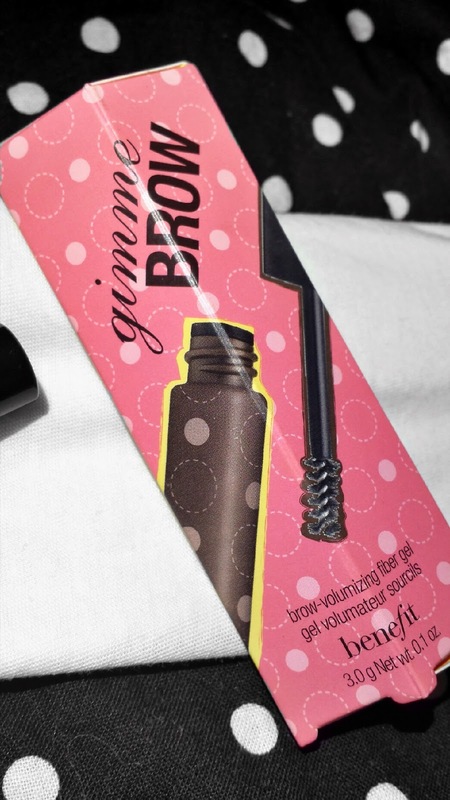 You can buy Benefit's Gimme Brow for £17.50 from Boots, Debenhams, John Lewis, Look Fantastic, Feel Unique, House of Fraser and of course from Benefit themselves amongst other places. 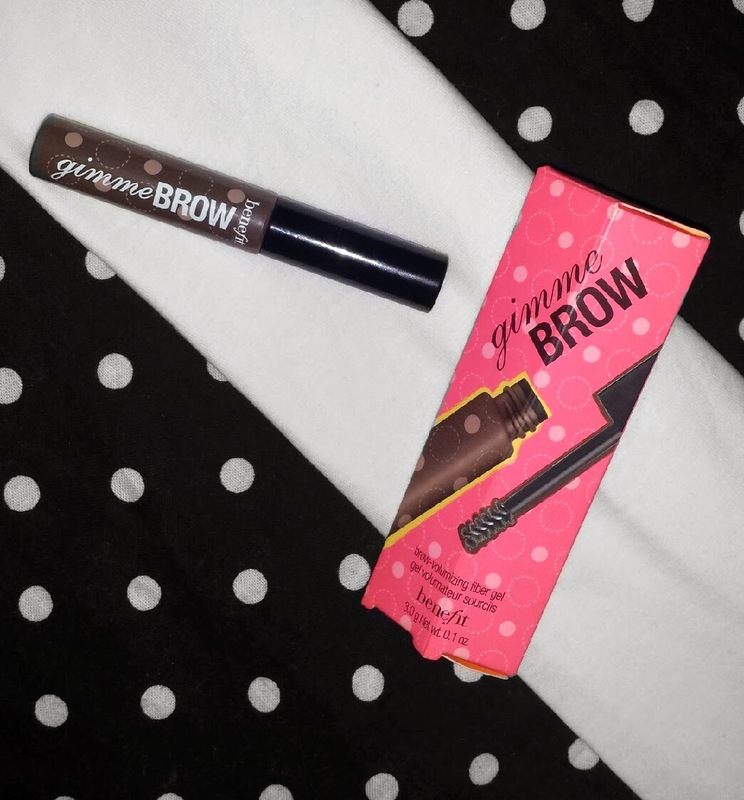 Have you used Benefit's Gimme Brow? What do you love/hate about it? I've been thinking about getting this for a while but just haven't made the plunge yet. Any estimate of how long this little tube lasts for?? & Thank you very much! DIY Multipurpose hair, face and body mist! Avon Lipstick Mixbag - reviews & swatches!